We are so excited to tell you we are bringing back The Girls Club! Founded in 2015 by the Betty Magazine team (we can’t believe it was this long ago either! ), it began as an exclusive place to exchange information and learn new skills from experts. The Girls Club wants you to embrace who you are and celebrate it! We are taking over a space at Hackney Walk this weekend, if you ready to be inspired then come and join the club! Ever wanted to make your own short videos? Be it for your business or just for fun, the queen of stop motion for Instagram, Xanthe Berkeley shows you exactly how it’s done. Backdrops, products from Etsy UK and tripods will be provided, alongside a sweet treat and goodie bag. Ever wanted to change your career!? Well The Girls club would like to introduce you to three women who did just that with remarkable results. 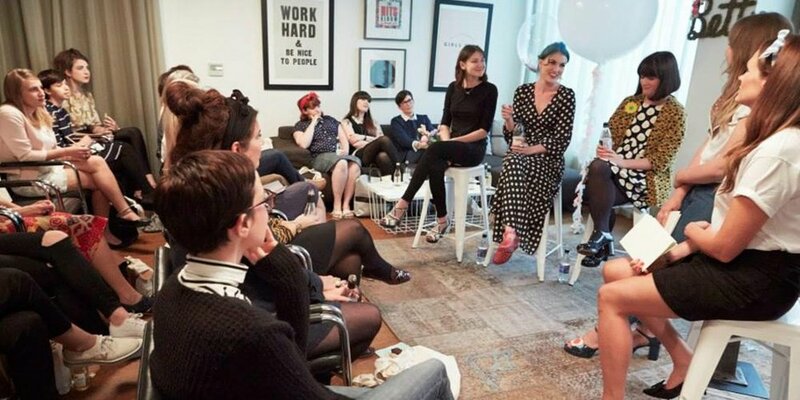 Sara Tasker, Dolly Alderton and Emma Gannon all changed their career paths and are now producing podcasts, online courses, publishing books and writing newsletters to an audience of thousands. Come and see how they did it, and let them share how a life online has meant they can write their own rules. Each ticket includes a sweet treat and a goodie bag. From online publishing, to manufacturing and promoting. Here we have three speakers who know the ins and outs of the fashion industry from all angles. Liv Purvis is the founder of the award winning ‘What Olivia Did’ website, featuring top fashion and lifestyle content. Rosie is co founder and Managing Director of the internationally renowned brand Tatty Devine, who have seen nearly two decades of success with their highly coveted and collectible jewellery. And Stephen Lawton, who currently works at HPR, working with brands on their PR strategies, landing them press coverage in some of the biggest UK and International publications.Ever wondered what it takes to work in an industry you love, then come and be inspired by people who have made it happen. And the team behind original hand crafted gifts Oh Squirrel,will teach you both to make pressed floral keepsakes. 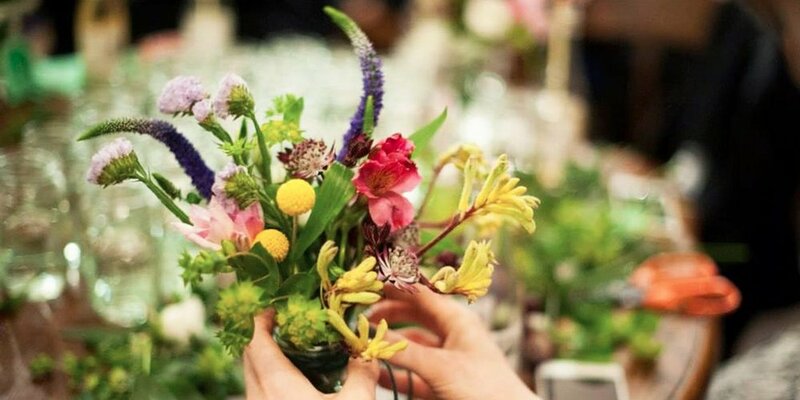 Tickets are £65 for two people (or £35 for a single), and include a floral bouquet each and your pressed flower designs, a glass of fizz, a sweet treat and goodie bag. £35 – £65. Tickets available here.